Your story is not just your wedding day. It's the moment you met. It's the first time you held hands. It's the time she told you that she was a New York Yankee fan and you were ok with it. It's when every adventure you go on isn't complete without your best friend experiencing it with you. And, of course, it's your wedding day. Your wedding is a part of your journey. You cherish every second. You take the time to breathe it all in. You are full of gratitude for this epic day. You want to remember those candid in between moments. And we are there to capture every freakin' beautiful moment of it. Take a look at more wedding films! Our couples are awesome! True authentic stories are the heartbeat of who we are. Whether we are filming a wedding or taking pictures of our son (which you can see on our instagram! ), we are looking for real authentic moments. If the imagery that really captures your attention is candid, honest moments, then you're in the right place. This translates to how we capture weddings. When you look at your wedding film, we want you to be taken back to that day as it actually happened. It means we aren’t going to ask you to act for us. We may help you find the right spot to get dressed so the light hits you just right, but we’ll never ask you to do something that you’re not already doing on your wedding day. We are incredibly unobtrusive all day. It means you’ll probably forget that we are there and we won’t be in the way of your guest. Our style also means that we work great with other vendors! Which is key to a successful wedding day! We've been so thankful to all our amazing couples that have allowed us to win some amazing awards and accolades, including Hippo Best of award, and multiple Wedding Wire Couple's Choice Awards. 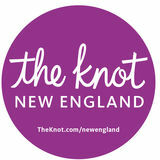 We have also been featured on Southern New England Weddings magazine, the Knot New England, and Smashing the Glass. We've shot photography for Tedx Cambridge and been featured on the Wedding Chicks blog. Do you love authentic, candid storytelling- made epic by attention to detail and mad camera skills? Do you want your wedding captured by a team who thrives on moments that happen in between moments? If so, we might just be a perfect fit! Every wedding is a little different, so we price based on your wedding. Every wedding is a little different, so we price based on your wedding. Pricing starts at $4,500. Sometimes things get lost in the internet. If you don't hear back within 24 hours, please contact me at hello@latimerstudios.com.